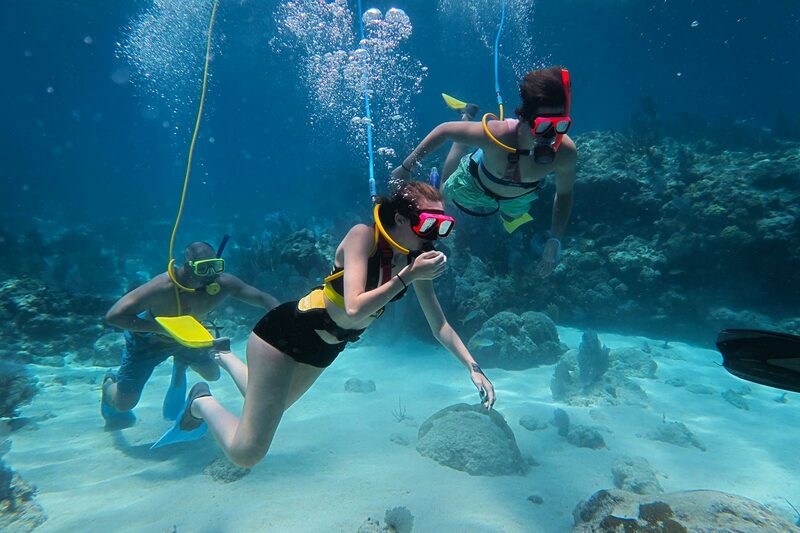 SNUBA® Key West Snuba Diving Adventures– Explore the Stunning Coral Reefs of Key West with Tropical Fish. 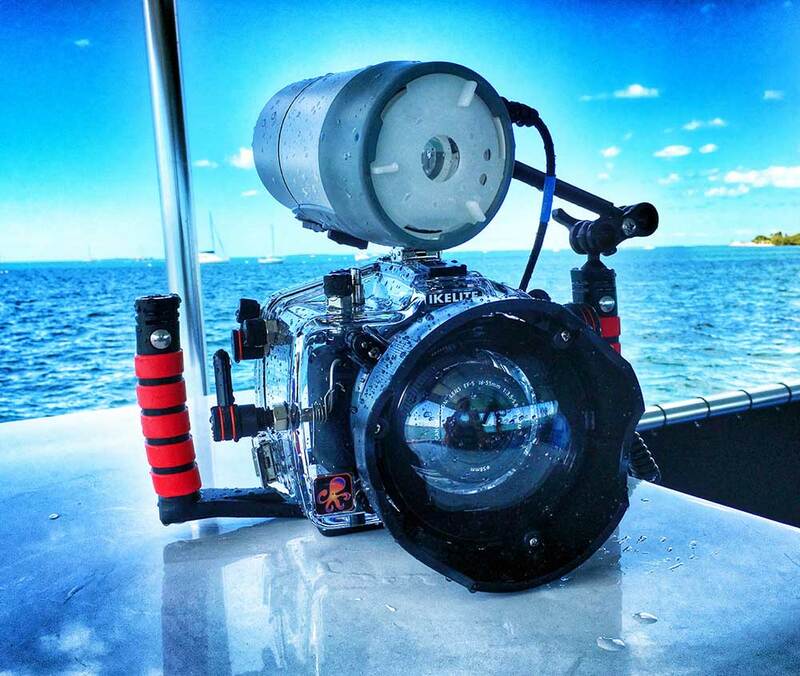 Experience Underwater Sea-Life with Photo Packages Available. 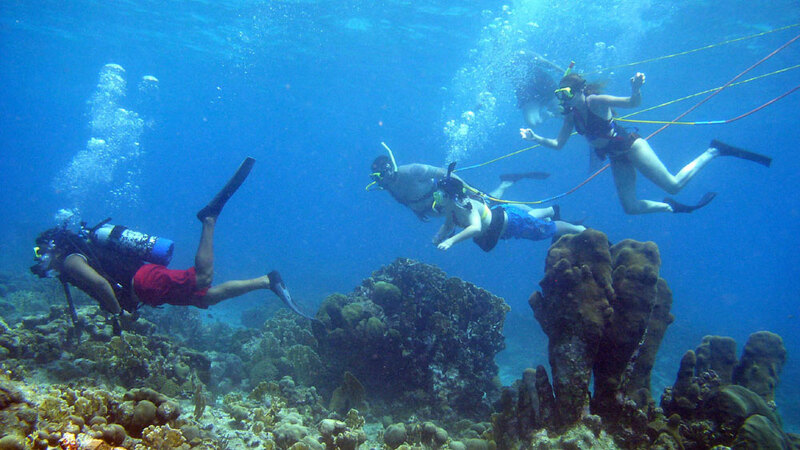 SNUBA® is the closest you can get to scuba diving without being Dive Certified! Go Beyond Snorkeling® into new depths for greater durations where you can easily and safely breathe underwater without heavy, cumbersome dive gear. 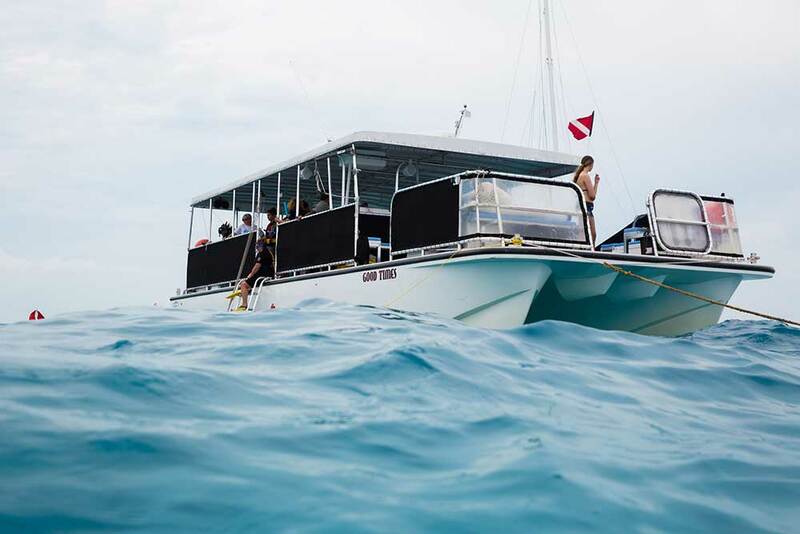 Discover amazing coral formations, schools of tropical fish, and swim alongside colorful creatures as you glide effortlessly beneath the waves. SNUBA® is safe family fun and simple to learn! All necessary equipment is provided and fitted for each guest by our team of professionals. 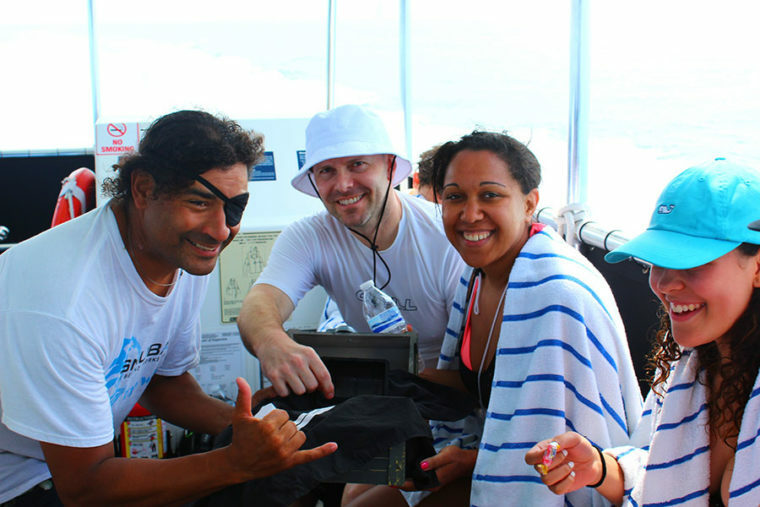 Our guests’ experience is our number one priority, so comfort and safety in the water is job one. After a brief 15-20 minute orientation during the ride out to the dive site, guests are ready for their underwater tour of our beautiful local marine ecosystems!  SNUBA® International, Inc. and its licensed SNUBA® Recreational Centers around the world represent the largest affiliated dive operation in the world. SNUBA® Recreational Centers have conducted over 6 million dives without a single injury claim. 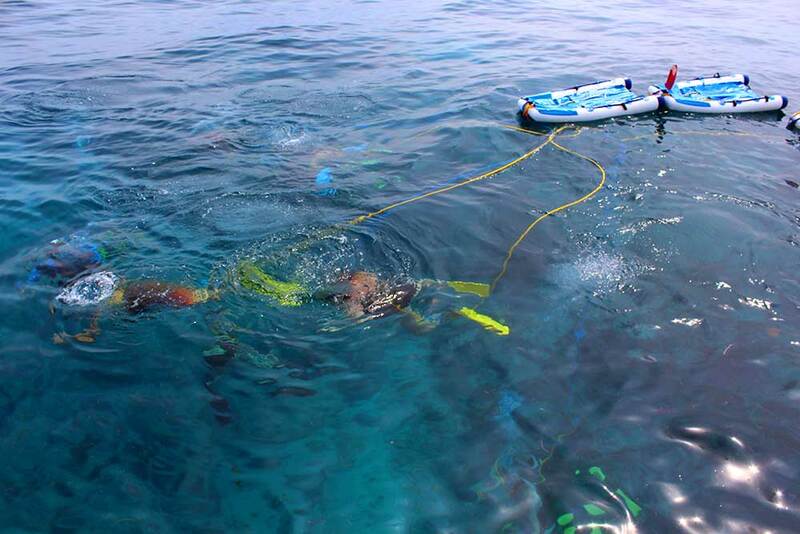 SNUBA® Recreational Centers conduct as many as 2,500 SNUBA® dives per day.  Many of the largest diving operations in Hawaii, the Pacific and Caribbean are SNUBA® Recreational Centers. SNUBA® International offers worldwide professional liability insurance coverage for its staff of SNUBA® Guide professionals, which is provided by Vicencia and Buckley. 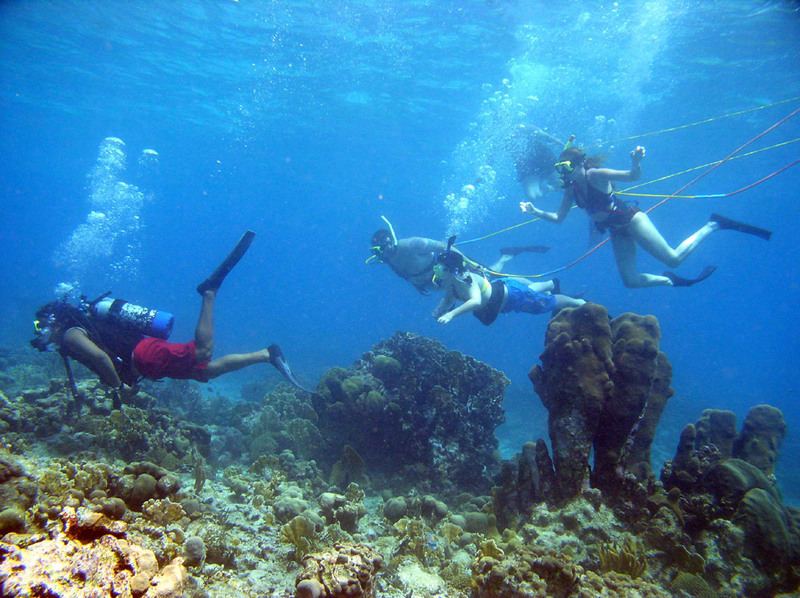 SNUBA® participants are mainly first time divers with basic swimming skills and/or snorkeling experience. The minimum age for a SNUBA® participant is 8 years old. SNUBA® Doo is available to children ages 4 to 7. 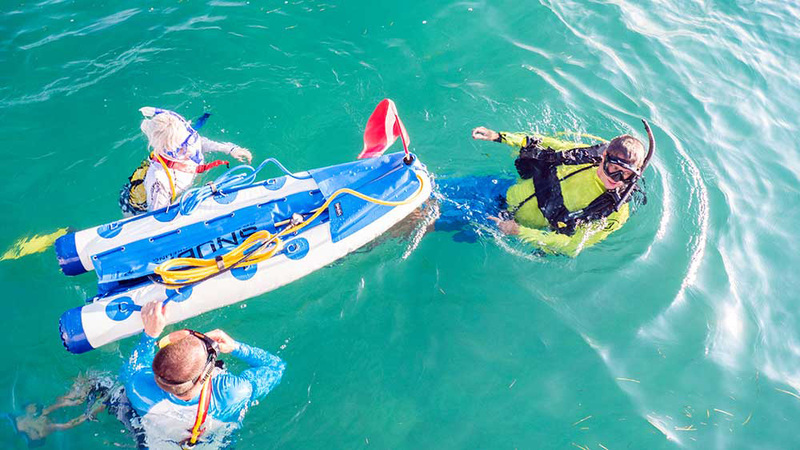 The SNUBA® dive system is not offered for sale and can only be experienced through licensed SNUBA® Recreational Centers who provide guided supervision. 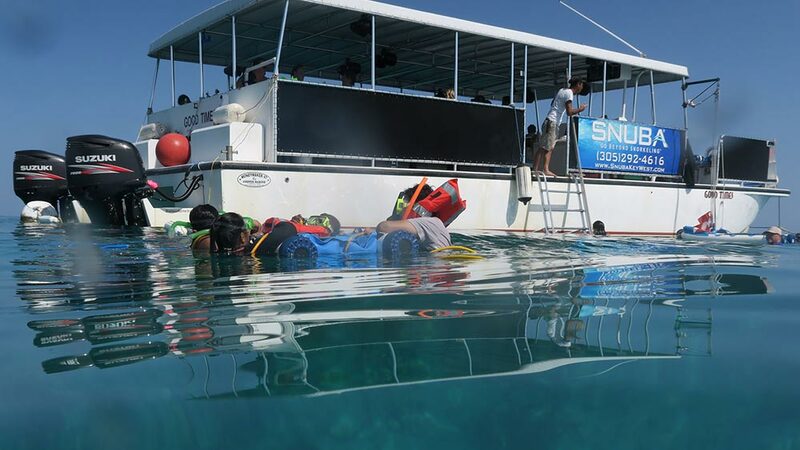 Some of the most successful SNUBA® operations are found aboard snorkel boats where guests are offered the option to Go Beyond Snorkeling with the SNUBA® experience. 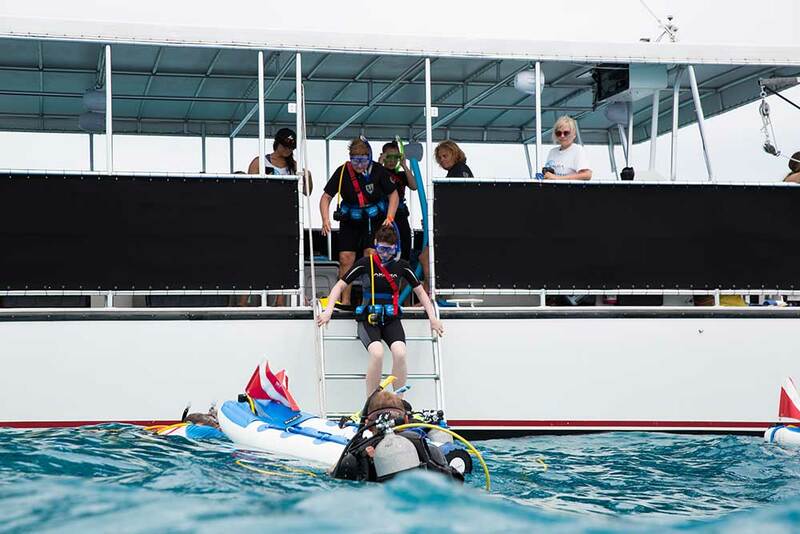 The majority of guests who participate in SNUBA® go on to become certified scuba divers after they experience the wonders of SNUBA®. Our beautiful 47’ Cooper Marine, named Good Times, accommodates up to 49 passengers. Our boat is located at the Garrison Bight Marina in slip #7 on Palm Ave between N Roosevelt Blvd and Eisenhower Dr next to the Thai Island restaurant. Lucky for our guests, it’s easy to locate and parking is free! Each excursion features a fully-staffed boat. Our captain oversees all operations on deck with assistance from at least one deckhand as well as in-water certified SNUBA® guides. Each guide takes no more than 6 guests per group, allowing for maximum guest experience every time! 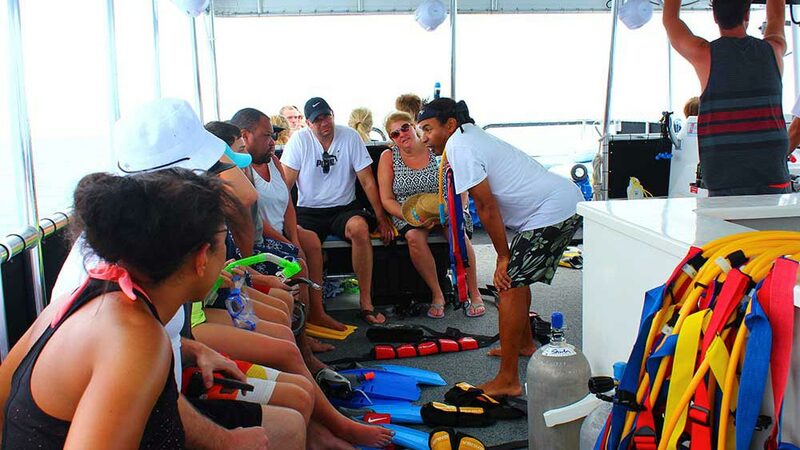 We provide each of our guests with an industry standard mask, fins, regulator with harness, and weight belt. The regulator is attached to a 20 ft long air hose that is connected to a raft on the surface where the air tanks are housed. 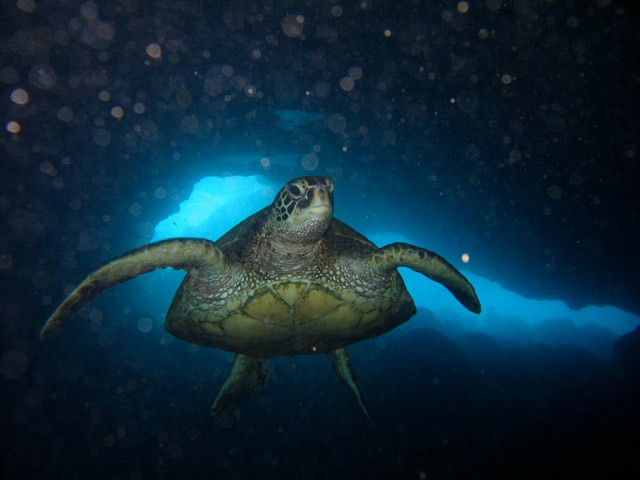 We have about a dozen different dive sites that we frequently visit, many of which are located within the National Marine Sanctuary. 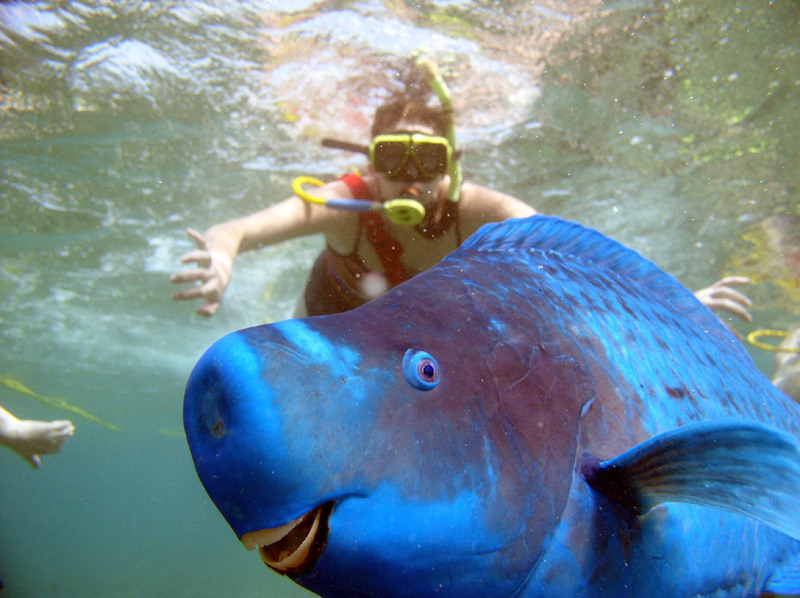 All of our dive locations are beautiful and packed with exotic marine plants and creatures!